In today's increasingly interconnected world we have the opportunity to be enriched by global currents of history and culture and to enjoy diverse lifestyles as a result of active contact with different peoples and ideas. The role of art in this environment is decisive, providing vital sources of inspiration for creativity and innovation. The Mori Art Museum has developed its own distinctive approach to art activities, embracing the concepts of "contemporary" and "international" since its establishment. The Museum is committed to presenting a wide range of exhibitions and learning programs that feature cutting-edge visual arts, architecture, and design in a global perspective. The Mori Art Museum is positioned also as a center of contemporary Japanese and Asian art, able to present Asian art trends in a global context with profound expertise concerning specific cultural systems and structures. The intention of the Mori Art Museum's continuing "Art + Life" principle is to realize an enriched society where art relates to all aspects of life. To present creative endeavors in art, architecture, design and other artistic activities within the broader contexts of culture, history, philosophy and science, and to be a center of inspiration accessible to all. To cultivate broad community development through collaboration in exhibition planning, creation of touring exhibitions, and exchanges with art museums and cultural institutions, artists, curators, collectors and supporters world-wide. To provide a platform through art for people of all walks of life to engage in critical and constructive discourse towards creating a new aesthetic and a new world view. To contribute to the development of contemporary art through artwork production support, exhibitions, collection of Asian contemporary art, and cooperative relationships with galleries, art fairs and professionals in the world of art. To introduce new lifestyles from the cultural hub of Tokyo to the world, uniting art and life through dedicated learning programs, as well as promotion of community art events and active support of public art projects. Nanjo Fumio was appointed Director of the Mori Art Museum in November 2006. Nanjo served as the Museum's first Deputy Director, from April 2002 until October 2006. Prior to that he organized numerous exhibitions as an officer of the Japan Foundation (1978-1986), as the Director of ICA Nagoya (1986-1990), and as the founder and Director of Nanjo and Associates (1990-2002). His main achievements include: commissioner of the Japan Pavilion at the Venice Biennale (1997); commissioner of the Taipei Biennale (1998); jury member of the Turner Prize at the Tate Gallery, London (1998); co-curator of the 3rd Asia-Pacific Triennial of Contemporary Art, Brisbane (1999); member of the selection committee of the Sydney Biennale (2000); specialist for the Japan Pavilion at EXPO 2000 in Hanover; artistic co-director of the Yokohama Triennale (2001); jury member of the Golden Lion Prize, Venice Biennale (2005); artistic director, Singapore Biennale(2006). Nanjo has also curated numerous public art and corporate art projects. He has documented his career as a curator in his 1997 book, From Art to the City: a record of 15 years as an independent curator. He is also an art critic and teaches a course on art management at Keio University in Tokyo. 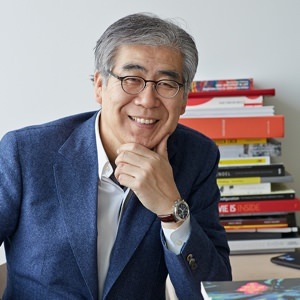 Nanjo holds various positions on public and private boards and committees including Vice-Presidency of the Association International des Critiques d'Art (AICA) and Membership of the Board of the Comite International des Muses d'Art Moderne et Contemporain (IMAM). He is also involved in the selection committees of several art awards and artist-in-residence programs. Born in 1949 in Tokyo, Nanjo received his Bachelors of Arts in Economics and Aesthetics from Keio University.